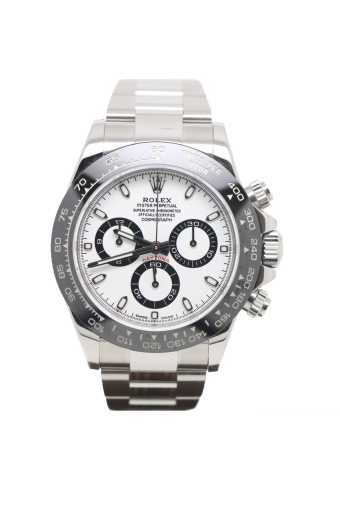 This is the latest ceramic bezel version of the epic Rolex Daytona reference 116500 ln. The 40mm watch case is steel with black ceramic bezel.The oyster bracelet is steel whilst the china white dial is fabulous with black chapter rings. Cheshire Watch Company are supplying this watch complete with all boxes and Paperwork which is dated 2017.